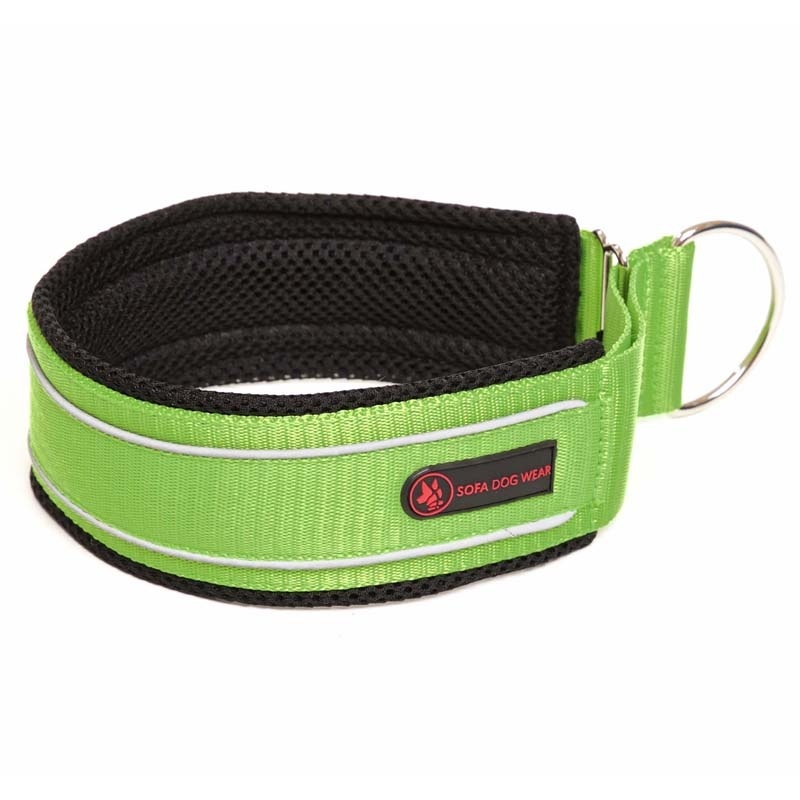 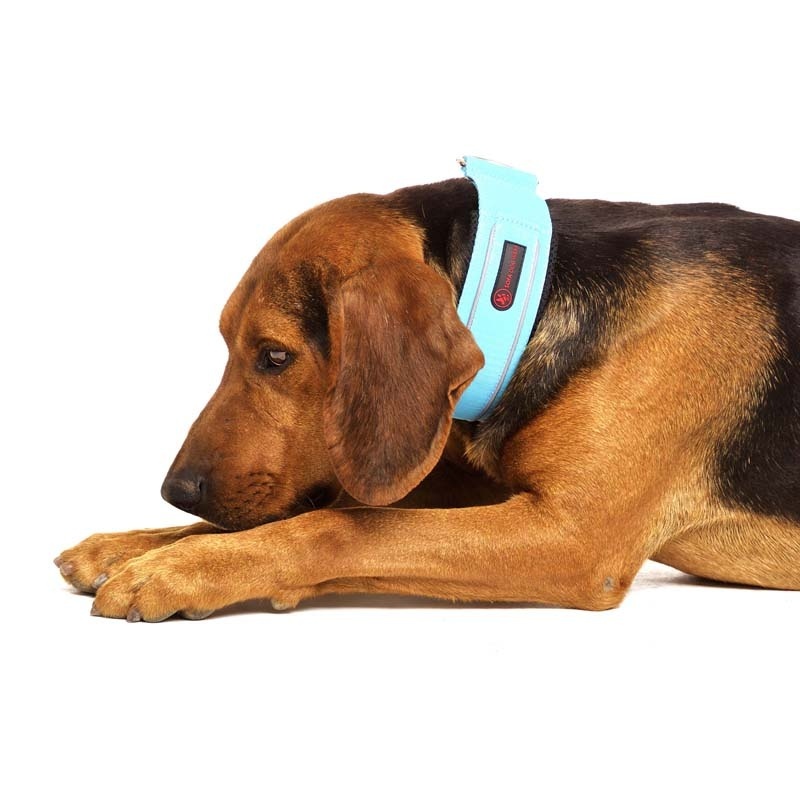 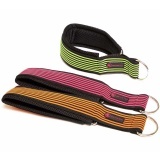 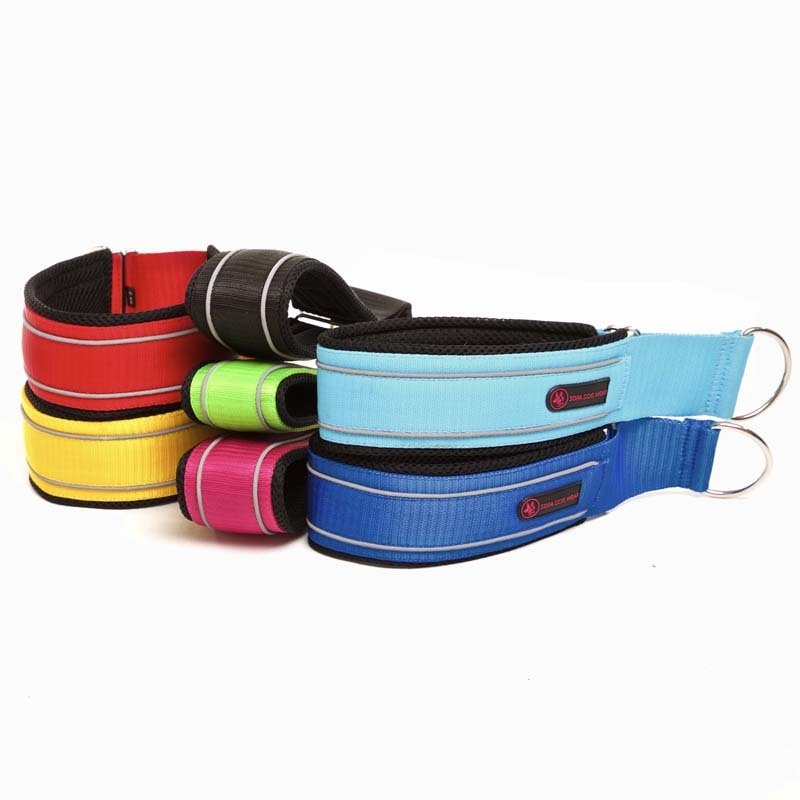 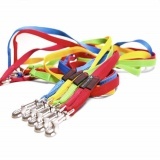 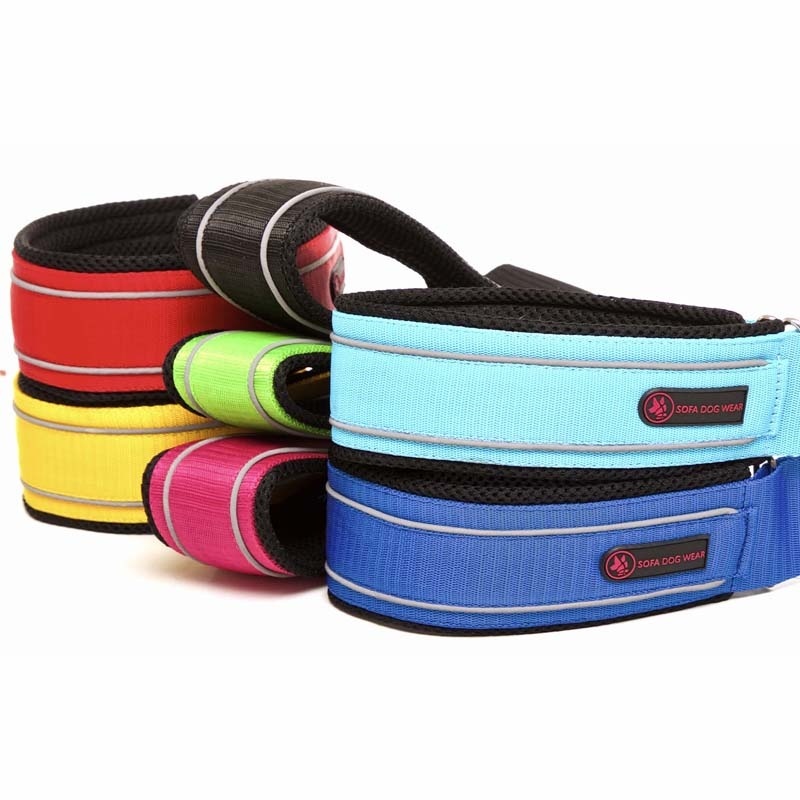 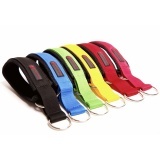 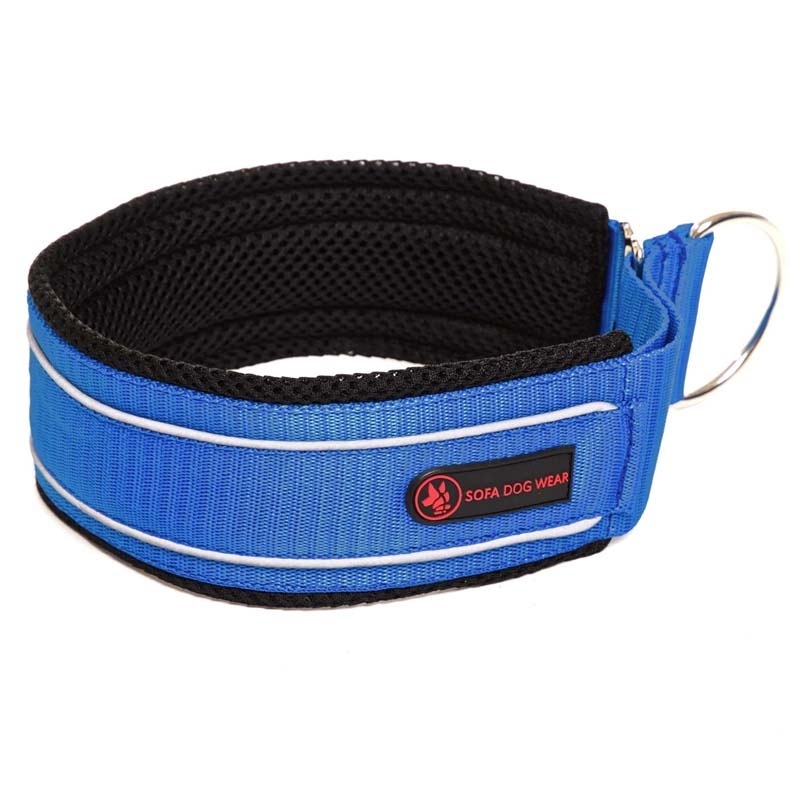 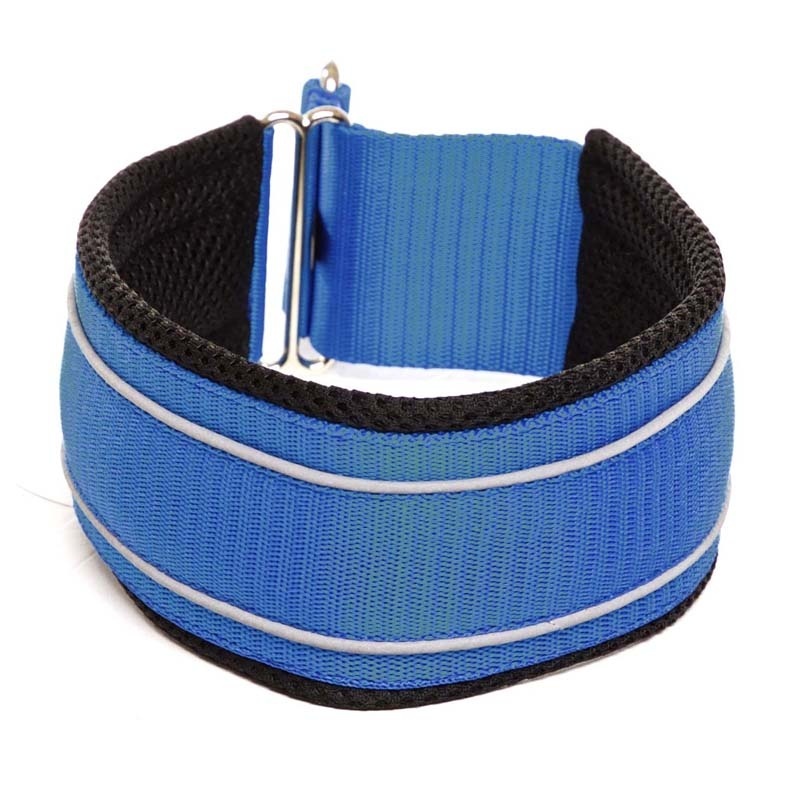 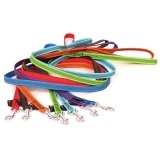 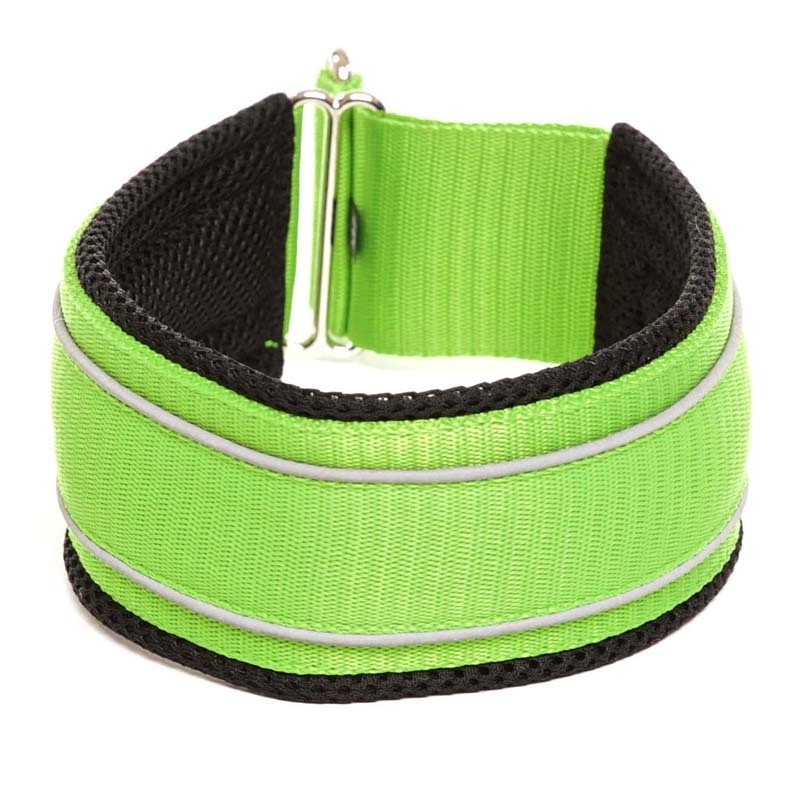 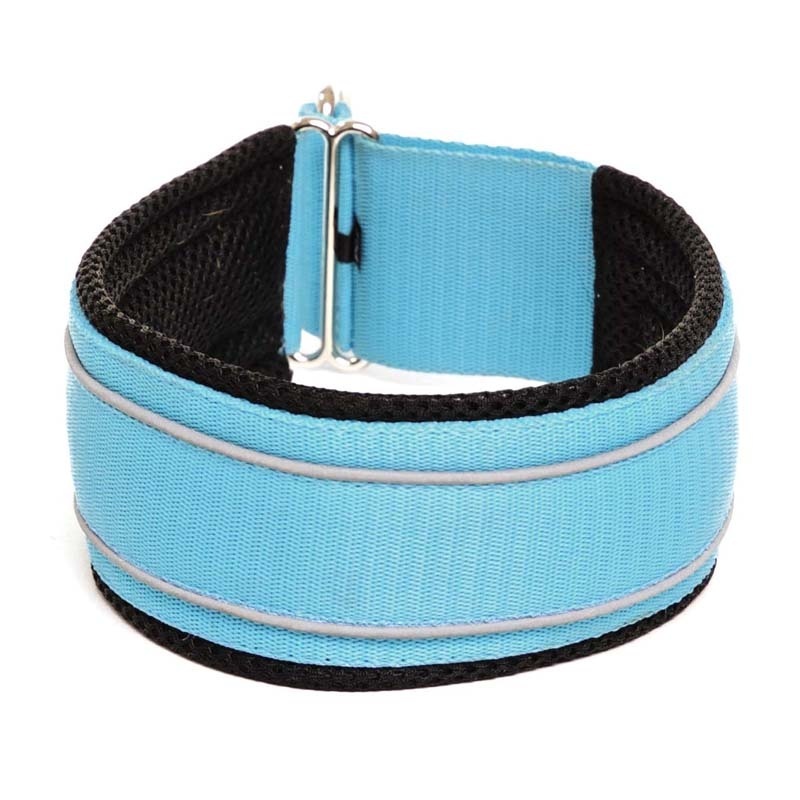 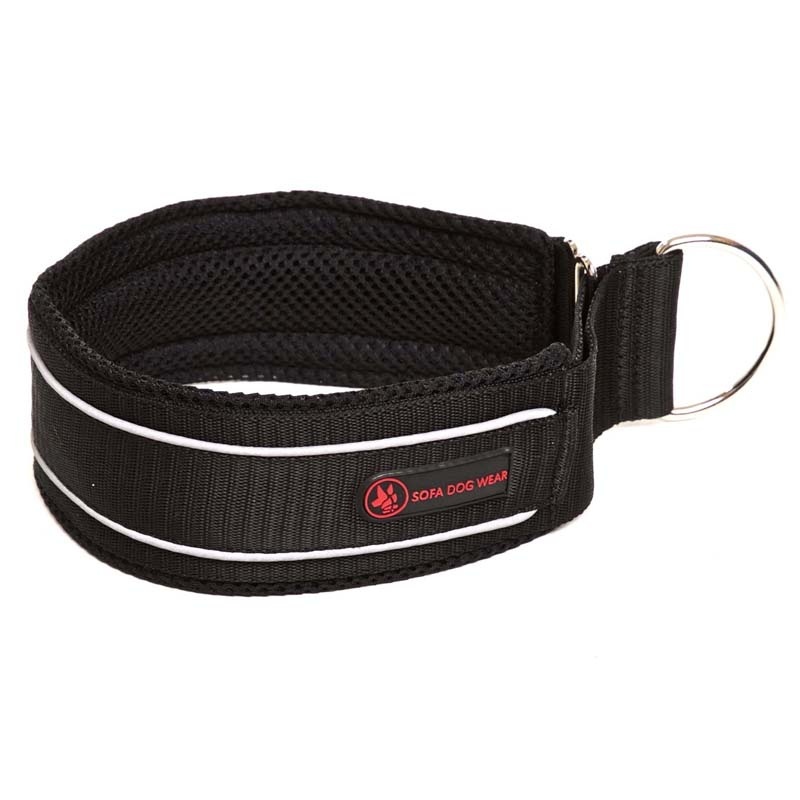 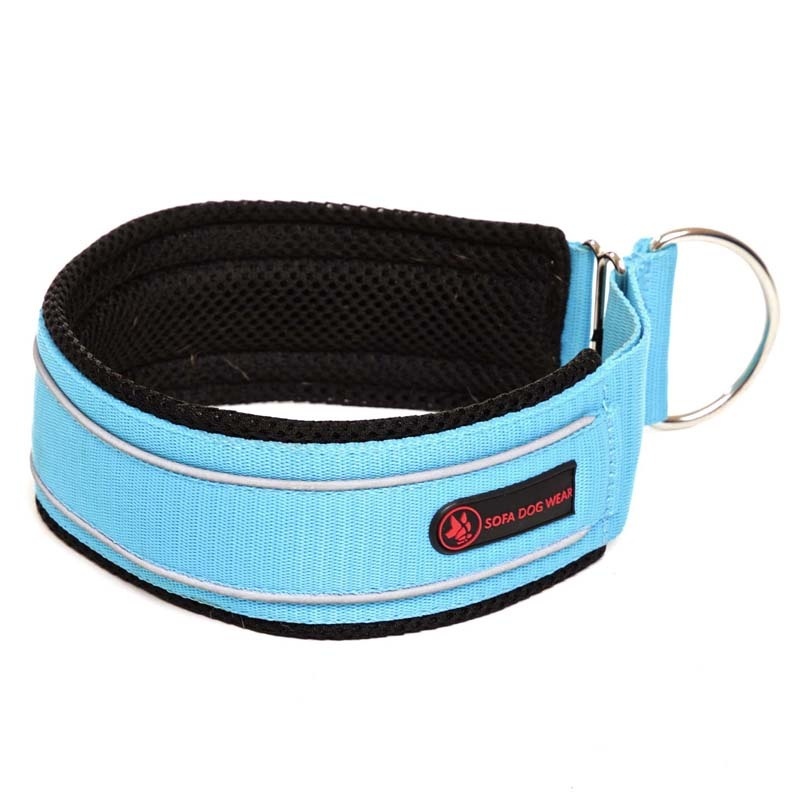 Textile collars are made from colored straps and completed with nickel components. 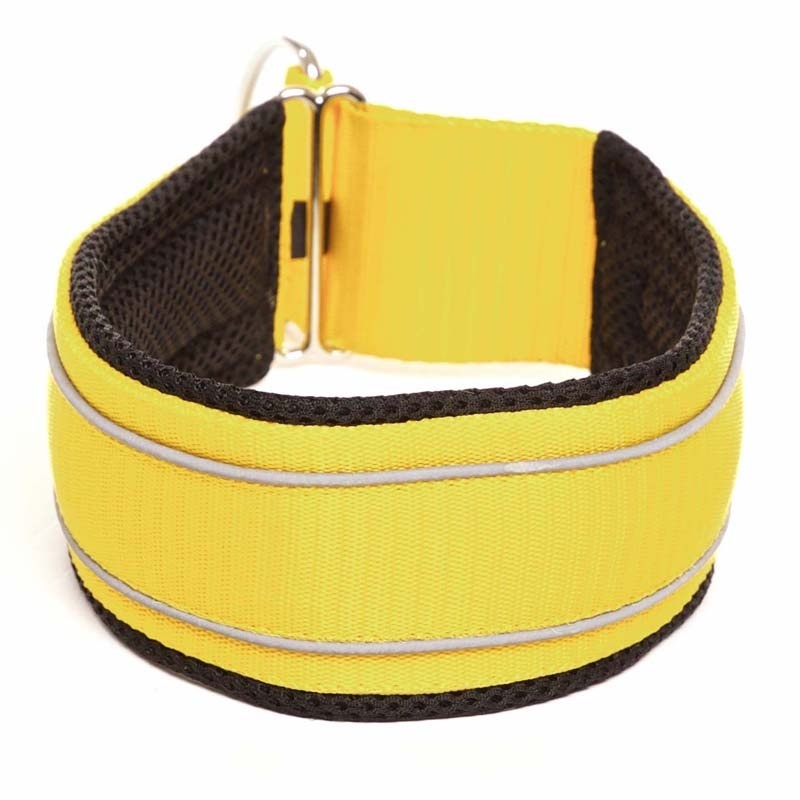 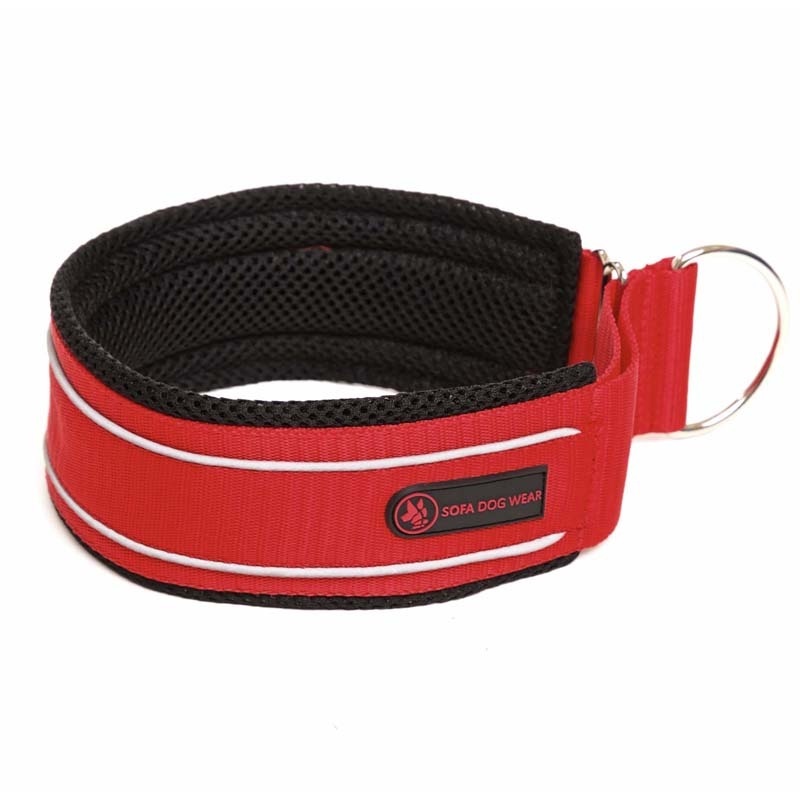 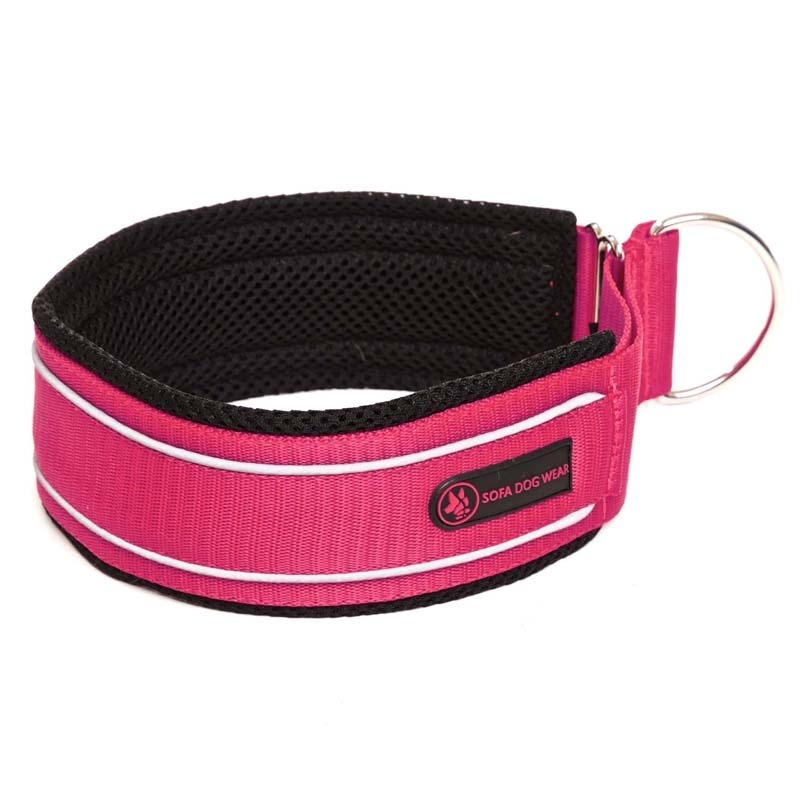 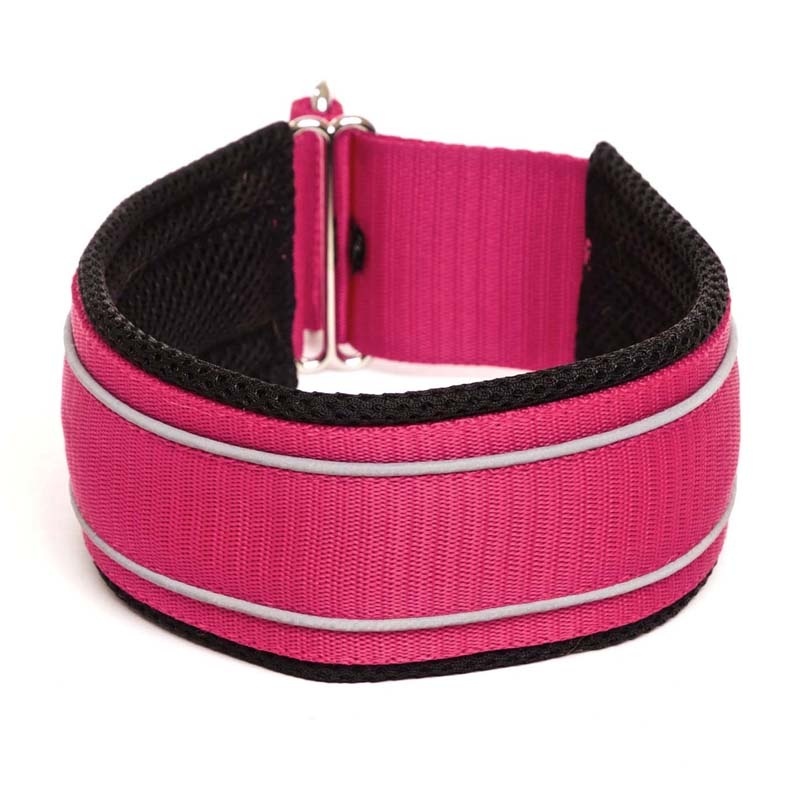 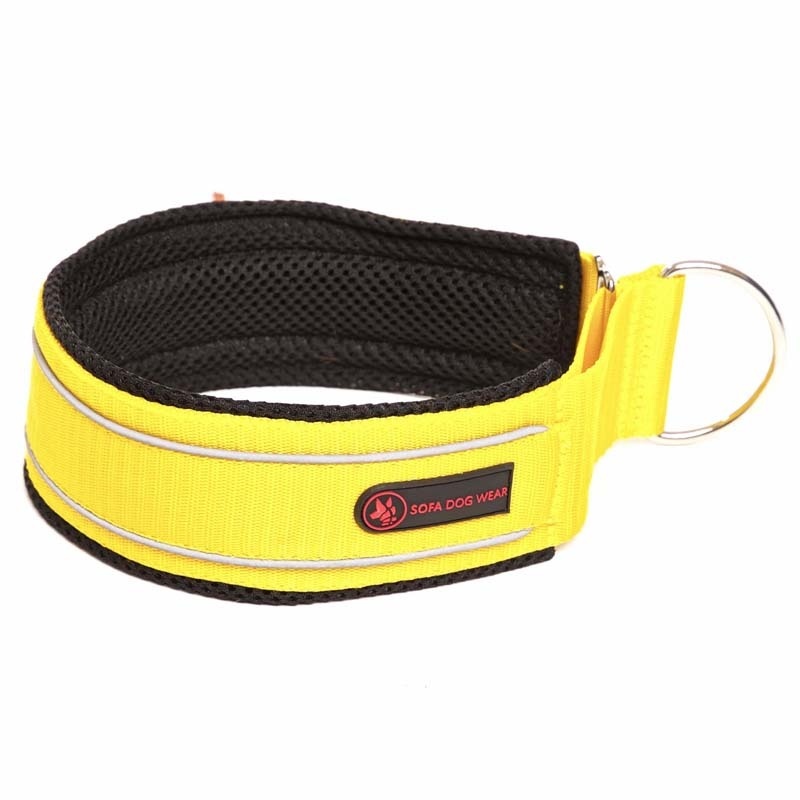 Reflective stripes for better safety of your dog. 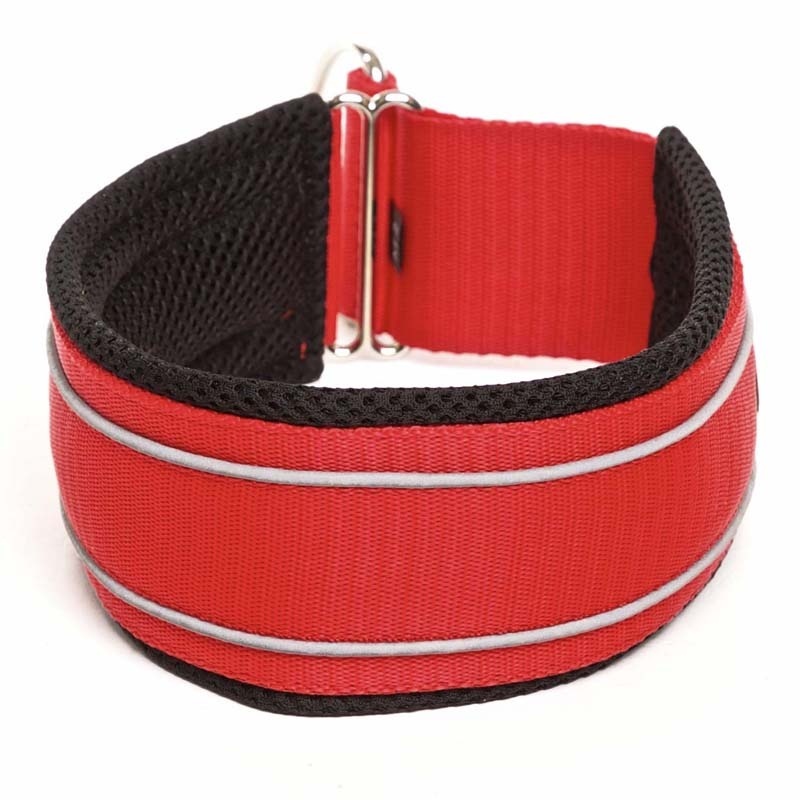 The soft padding is from 3D mesh, which is breathable and friedly to dog's hair. 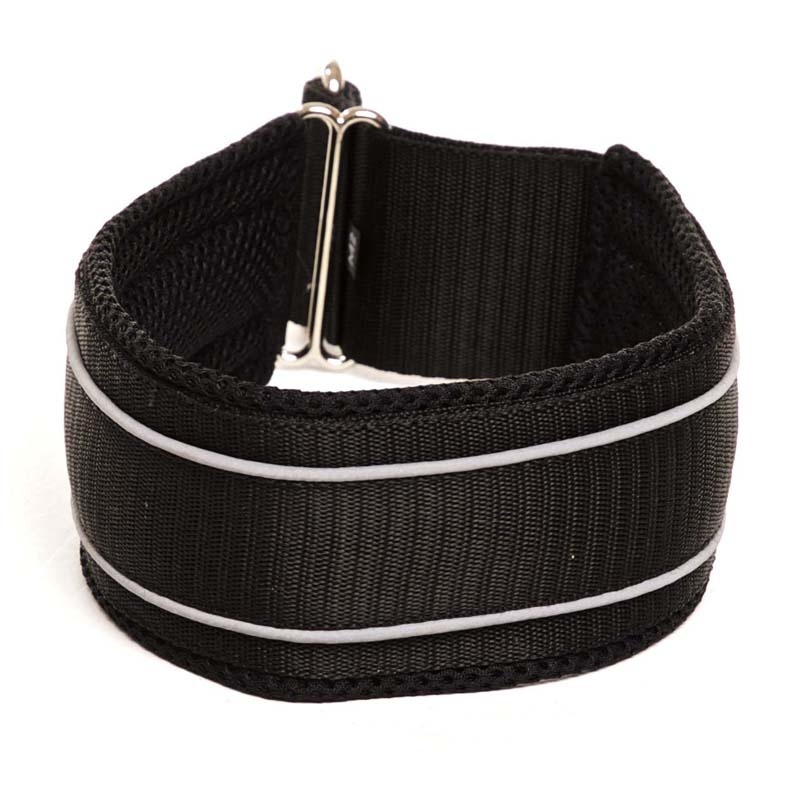 Very easy to wear, perfect for daily use. 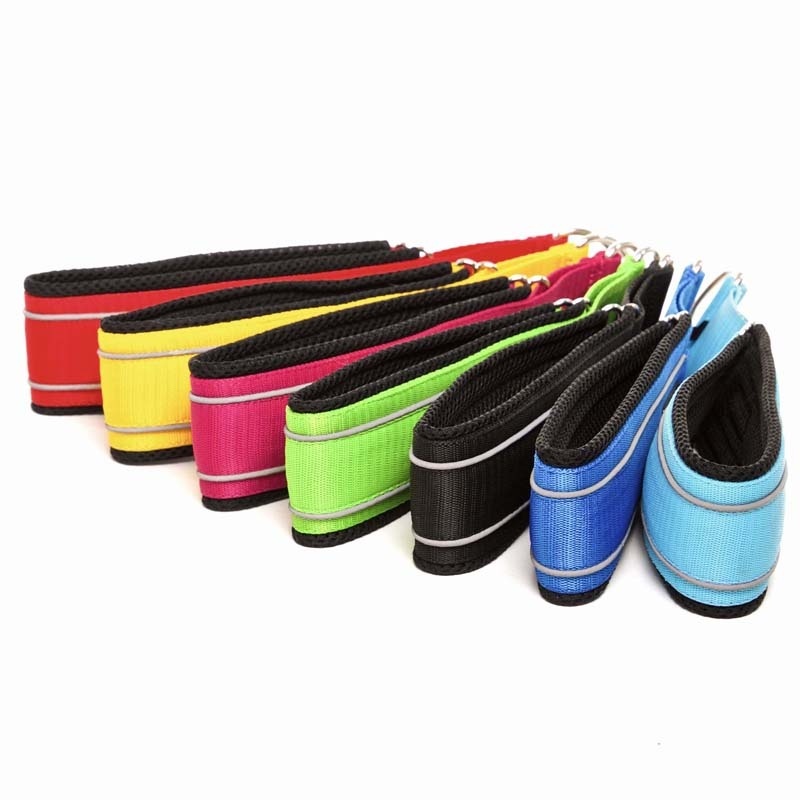 Available in wide range of size and colors.